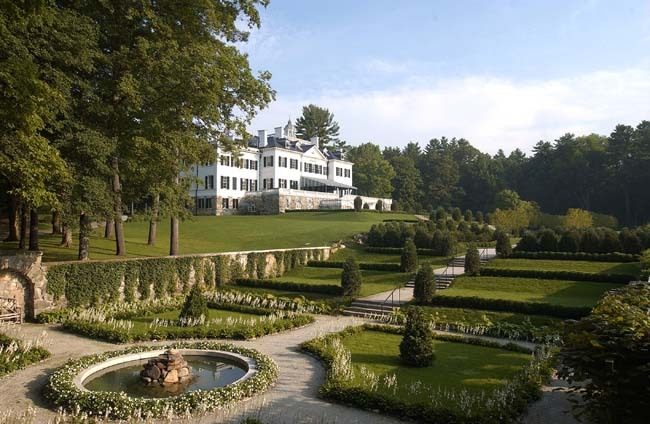 Fortunately both the buildings and grounds of Edith Wharton’s 1902 masterpiece have been largely restored. 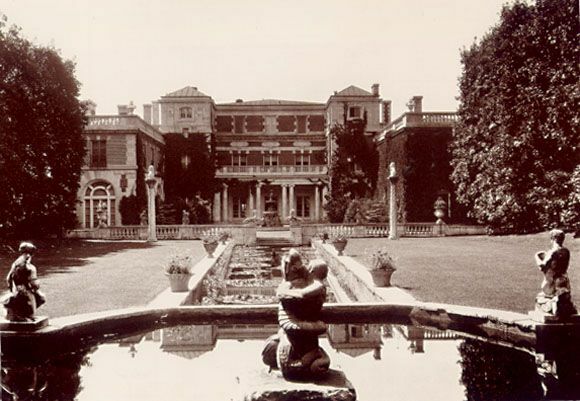 The Mount is notable for its lightness and modernity in comparison to the many brick, Elizabethan houses being built in Lenox at the time. 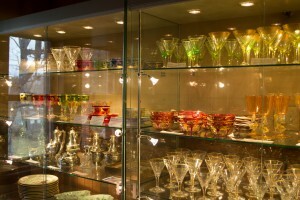 The Mount, on Plunkett Street, is open to the public. Just down the street, the former 1885 “cottage” of Robert Spencer, Nowood (no pictures found) was purchased in 1911 by Another highly pedigreed family. Emily Meredith Read Spencer was a descendent of William Bradford and her husband descended from one of Stockbridge’s founding families. 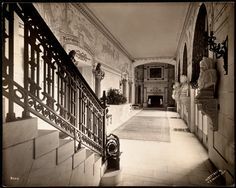 In true gilded age fashion, Emily imported staircases from England, doubled the size and renamed it Shipton Court. Emily hesitated to build her own “cottage” because she was afraid she wouldn’t live long enough. Forty at the time, she apparently (no dates found) lived well into the 20th century (Cleveland Armory, The Last Resort) and entertained distinguished guests such as Isadora Duncan with Emily’s pet piglet “Rosie” running through the parlor. Today it is an inn named Seven Hills. 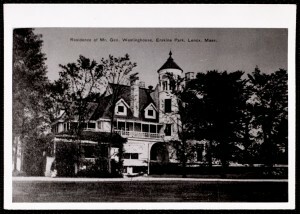 acres, landscaping and completing the elaborate Queen Anne shown above in 1893, the Westinghouses split their time between this house, a house outside of Pittsburgh, and Washington, D.C.
After they died in 1914, their son George Westinghouse Jr. sold the property to Margaret Emerson Vanderbilt, the widow of Alfred G. Vanderbilt. Fox hollow (Holmwood) including some recent additions. 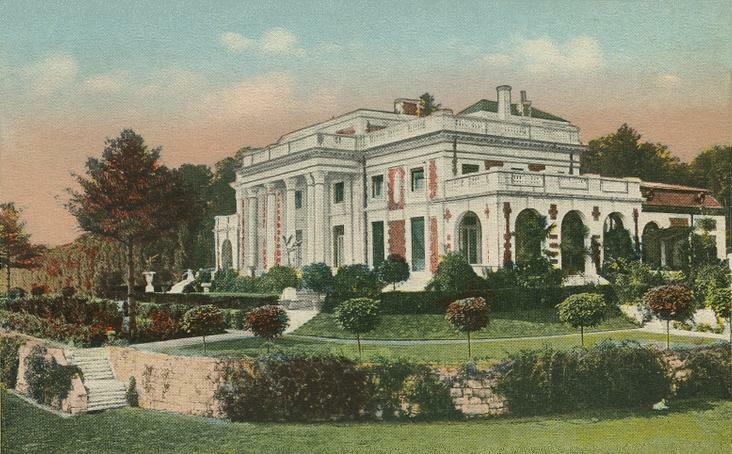 She demolished the existing house and built a large Colonial Revival house designed by Delano and Aldrich in 1919. She named it Holmwood and spent a few weeks a year there. In 1939, it was purchased by the Foxhollow School for girls. In 1942 the school also bought The Mount next door. The school closed in 1976 and the property became a condominium complex and resort. Margaret Emerson’s friend Lila Vanderbilt Sloane (1877 – 1934) decided to build her cottage, High Lawn, next door. Like so many gilded age estates, High Lawn replaced an existing set of buildings. 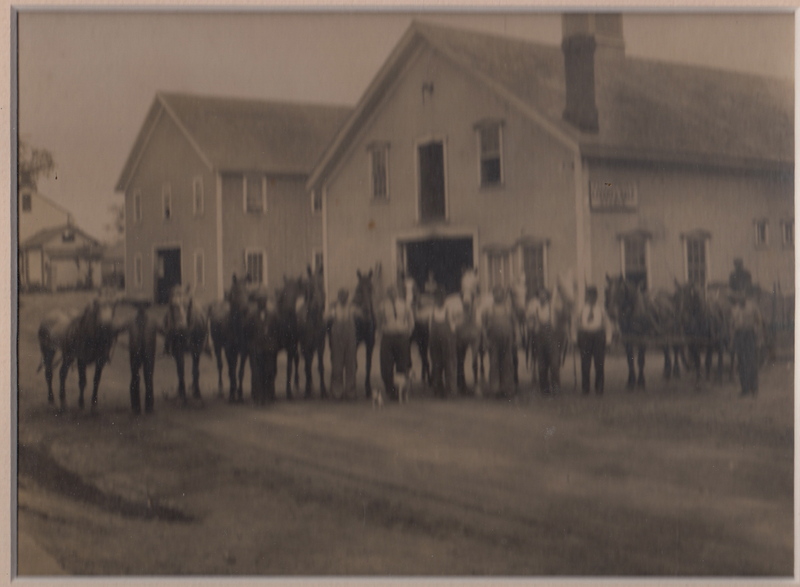 Already called High Lawn, the original farm had been substantially improved by local horse breeder Elizur Smith. 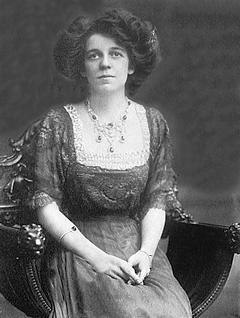 Lila was the daughter of the Sloane’s of Elm Court, so she stayed close to home. 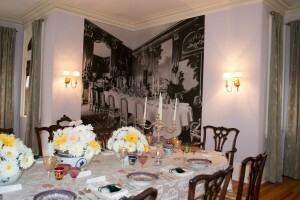 She chose a very different (and more contemporary for the early 20th century) formal design by Delano & Aldrich. 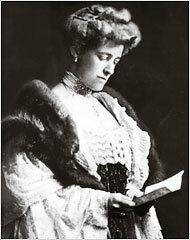 Lila’s husband, William Broadhurst Osgood Field (1870-1948) was a mechanical engineer and bibliophile. With Morris Kellogg, Field became a leader in design and construction for chemical process plants. The home remains in private hands and the farm is run as a professional dairy operation. Many of the fanciful farm buildings, largely designed by estate architects Burnett & Hopkins of New York, remain standing as well and can be easily seen from the road. 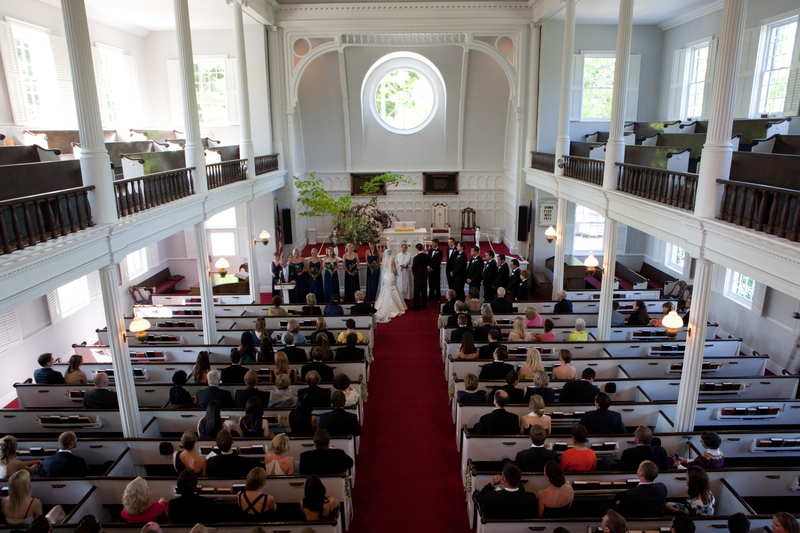 Started in 1805 and dedicated January 1806, the Church on the Hill remains one of the loveliest buildings in Lenox. Information on the architecture and the nearby burying ground and early members have been described. Here is some background on the evolution of the its church buildings. At the time Richmond and Lenox were being formed, church and state were still closely aligned. Citizens were taxed for support of the church and men had to be members of the church to vote. 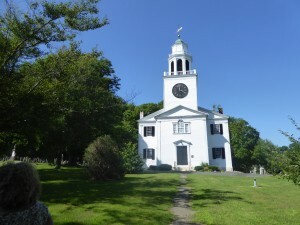 A meeting house that was to function as both church and town meeting hall was a requirement for government approval of a town. 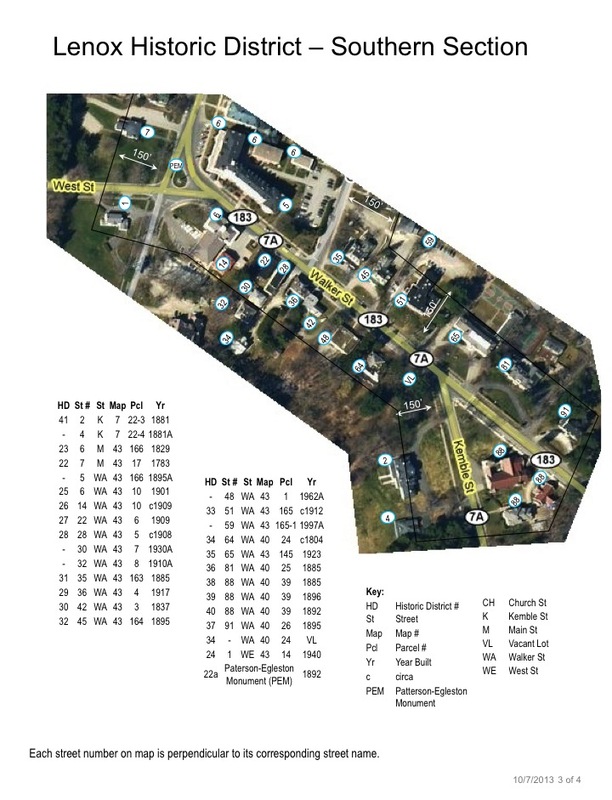 Because of the mountain range running down the middle of Lot#8, two locations were needed for meeting houses and by 1767 the lot was split into the two towns we know today. The church was organized in 1769 by Rev. 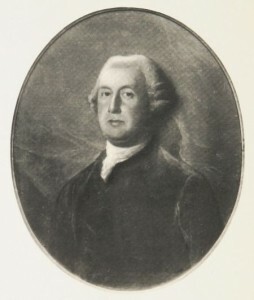 Samuel Hopkins of Great Barrington. Land for the meeting house and nearby burying ground was donated by the heirs of Rev. 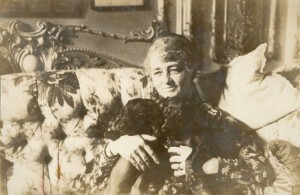 Reynolds – one of the holders of the Ministers Grant that included much of current Lenox. By 1770, Rev. Samuel Munson had been called to be minister and the original meeting house had been built slightly southwest of the site of the current church. Rev. Samuel Shephard was called to minister to the church in 1795 and remained pastor until his death in 1846. By 1803, town population had grown to 1,000 and the original meeting house had outlived its usefulness. In fact the old meeting house’s condition and size made congregants hesitant to hold services there. A commitment was made at town meeting to construct a new church. Much of the princely construction cost of almost $7,000 was paid by the sale of the box like pews (floor plan re-designed in 1840). Sale of the pews brought in $6,811 and sale of the old meeting house brought in $205.51. The contract for construction specified it was to be made conformable to the plan of a steeple laid down in plot No. 33 in ‘Benjamin’s Country Builders Assistant.” The builder, Benjamin Goodrich is thought to have also played a role in the design. 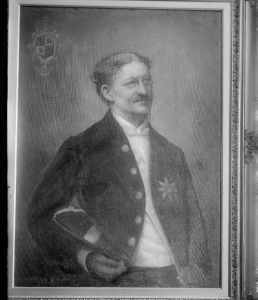 Official documentation (Form B) attributes design to architect Captain Issac Daman. The original floorplan, as noted above, consisted of high sided box pews. The circular pulpit was high so the preacher could see the worshippers. No fires were allowed in the church so parishioners probably brought boxes of coals – foot warmers – into their pews. During the winter the minister preached in a large blue overcoat and wore with a red bandanna around his neck and woolen mittens on his hands. The long services broke at midday and parishioners went to nearby houses to warm themselves. In 1840 the box pews were replaced with bench pews similar to those in use today. The center alley was eliminated and replaced by two large side aisles. The pulpit and the gallery front were lowered and stoves were installed in the back of the main room. In 1834 the new Massachusetts state constitution formalized separation of church and state by prohibiting town support for church operation or buildings. This had no effect on the Church on the Hill building but did require relinquishing the acerage of the burying ground and all the land around the church except for the footprint of the building itself. Churchyard Was Planted with a Row of Trees Given by 90 Year Old Eldad Post in 1870; in 1832 Mr. D. Williams Gave this Strip of Land to the Town That Was to Be Forever Kept Open to Preserve the Outlook from the Church. In the early days there were few hymn books and it sounds like music was – to say the least – not a center piece of worship. Use of the violin and flute was specifically criticized because they unpleasantly resembled the flute, harp, sackbut and dulcimer which accompanied the worship of Nebuchadnezzar. By 1850, thinking on music had evolved and the rear gallery was resigned to house an instrument called a “Seraphim” to support the singers. 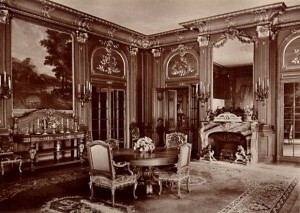 In 1850 the seats in the gallery in the porch were appropriated “for the use of those who assisted in singing”. In 1868 the present organ was installed. From “Buildings” by Rev. Harris B. Hinchcliffe in Church on the Hill History Gathered 1769-1970. In the early days, worshippers were called to services by the beating of a drum. A bell was installed at some point prior to 1838 when the Centennial History makes reference to a second bell being hung in the steeple (still in use as of 1906). Fanny Kemble donated a clock in 1849 that was plagued with difficulty and was followed by the gift of a second clock by Morris K. Jesup in 1899. The first Bible gift recorded was from William Walker in 1818; another (still in use as of 1906) was donated by his son William P. Walker in 1852. The baptismal font and tablets at the rear of the pulpit were placed in 1882 in memory of Sarah and Thomas Egleston. The two pulpit lamps were given by Mrs. Robert E. Hill in the name of her husband Robert E. Hill, in memory of his grandfather Dr. Robert Worthington. In 1896 Mrs. Mary Hill present a pulpit in memory of her mother Mrs. Jane Worthington Hill. In response to the need for space for more social activities, the church authorized construction of a chapel in 1876. 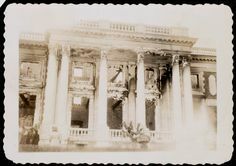 The official completion date (Form B) is listed as 1877. The Gothic Revival chapel was designed by J.F. Rathbone of Pittsfield and built by J.W. Cooney. The original design had frescoed walls and a Gothic window facing the street. 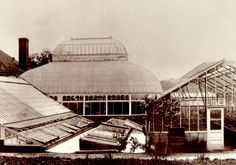 It was used primarily as a meeting place until 1900. The chapel was re-designed, a dining room was added in the basement, the present entrance on the north side was added and a glass memorial window, in honor of Blanch F. Ferguson, was installed replacing the Gothic window. Until the installation of oil heat in the main church in the 1950’s, winter services were held in the chapel. The Chapel was severely damaged by fire in the mid 1930’s but insurance was sufficient to restore the chapel to its turn of the century appearance.
. 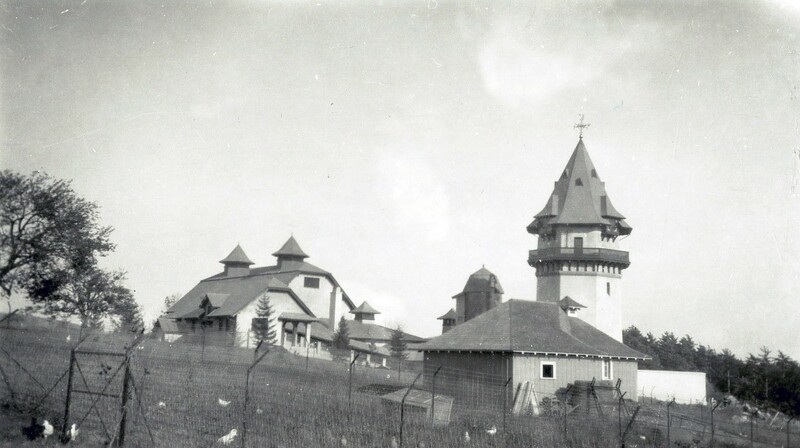 In the 1950’s oil heat was installed at the Church on the Hill and services returned to that building. A Church School held in the Chapel had increased its enrollment to the point that it overflowed the building by 1968. The interior of the Chapel was remodeled at this time to accommodate the school activities. The chapel space was reduced so two classrooms and office space could be added. Note: Both the Church on the Hill and the Chapel are on the National Register. Rev. Hinchcliffe describes the various parsonages in The Church on the Hill History, Gathered 1769-1970. “Dr. 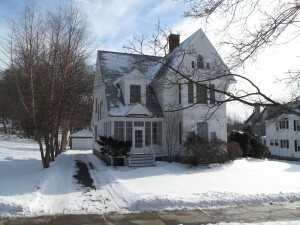 Samuel Shepard is reputed to have lived in a house on the old Bradford Tract, approximately across the Pittsfield Road to the east of the State Building on Routes 7-20. This Pittsfield Road was not then so now, the main roads north being Cliffwood and East Streets. Where the other early pastors lived is unknown. During the pastorate of the Rev. E.K. Alden, a house was purchased for a parsonage. 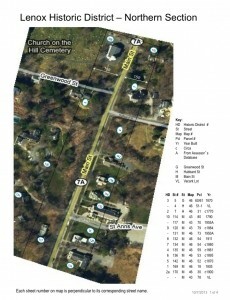 It was located just north of the present rectory of St. Ann’s Church on Main Street. During the pastorate of the Rev. Edward Day, the parsonage having fallen into a dilapidated condition, plans were made and a committee was elected to build a new house and barn on the same site. These were completed and Mr. Day occupied the new parsonage (which still stands*) for several years before he was dismissed in 1898. *refers to 1970…the parsonage occupied by Mr. Day still stands (pictured above) as of 2016. From what we can learn from existing documents and newspapers, the level of interest was high because the village had, since being re-zoned commercial, started to lose its unique character. 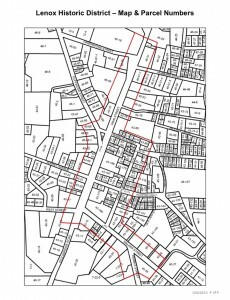 As early as the late ’60’s planning documents identified keeping Lenox Village as a unique type of shopping area the best way to compete with ubiquitous strip malls and shopping areas. 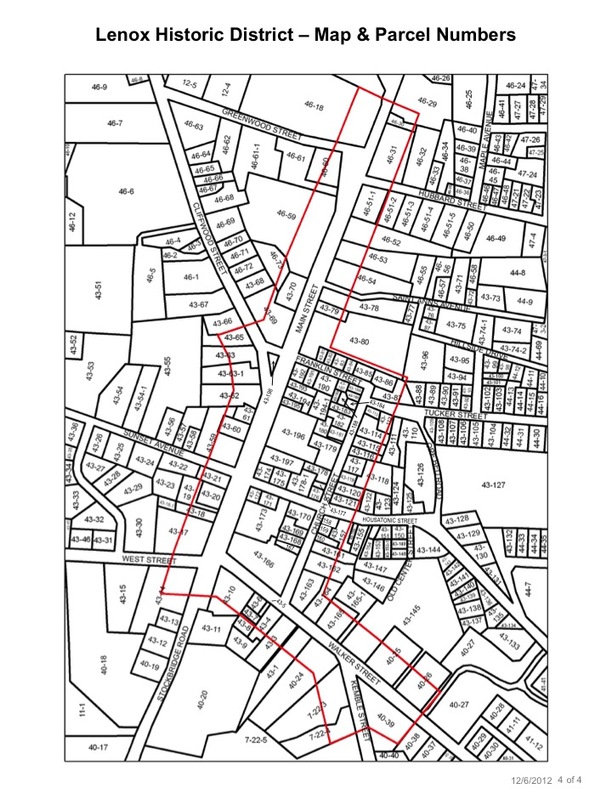 The town website provides guidelines on the process to be followed to get the approval of the Historic District Commission and suggestions of what changes will be considered consistent with the goals of the District. Maps of the historic property and the list of properties follow. 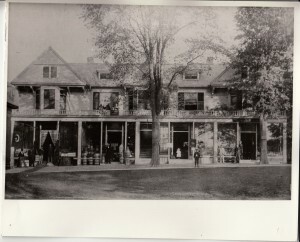 The town also has a Historical Commission which is charged with he Lenox Historical Commission was formed by the Select Board to preserve and protect the historical assets of Lenox; to record (through surveys) the historical assets of the Town; to assist any Town board when asked; to educate the citizens about their historical heritage through exhibits and lectures. 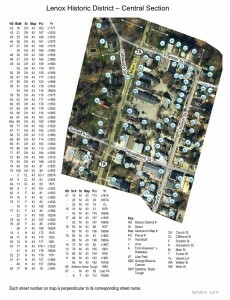 The Historic District is encouraged to turn to the Historical Commission for information on properties in the district. The work of the Historical Commission has included surveys of the historic properties in town. These surveys have been reproduced on this website (see “Places”). 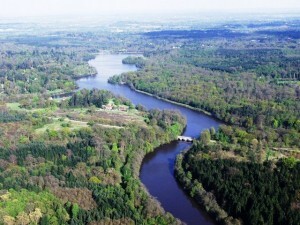 The land that would comprise Lenox and Richmond was auctioned as Lot 8 by the Royal Colony General Court in 1762. 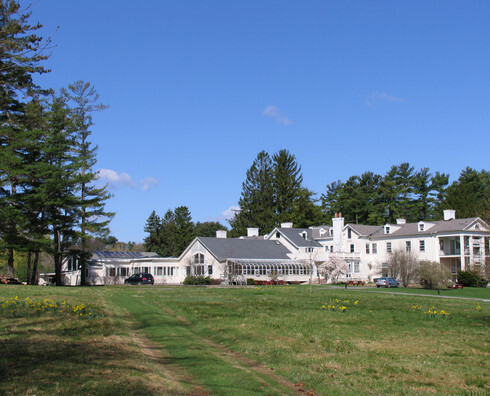 But, the land that was being auctioned for what would become Lenox was only about half the total acerage – the rest had already been bought or distributed as grants. The Indians believed themselves to be holders of most of the rest. Here is a brief description of the situation at the time of the Lot 8 auction. Mohegan Sachem Konkaput had given a Dutch interpreter quite a few acres of meadowland along the river in Stockbridge. Then the interpreter fell into debt, and borrowed 100 pounds from John Sergeant (the Stockbridge Minister) with land as security. The Dutchman then sold, for 450 pounds, to a group that offered to trade (finalized in 1741-1742) 280 acres of this land for 4,000 acres of woodland to the north east (Lenox). 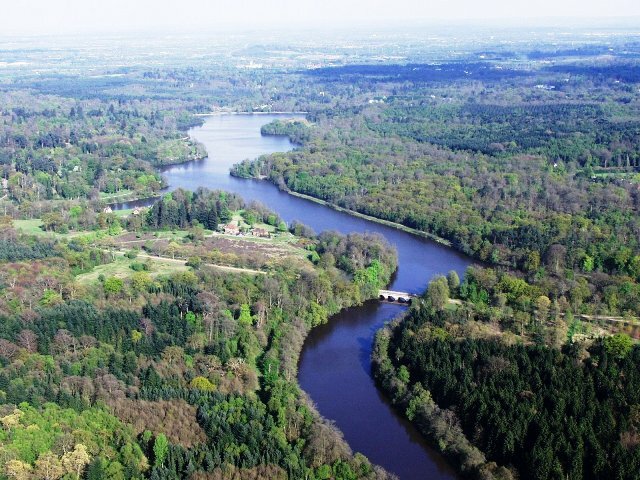 The group consisted of: Ephraim Williams – 900 acres plus a 130 acre pond, Nehemiah Bull 700 acres; and the remainder to Stephen Williams, Samuel Hopkins, John Sergeant, Timothy Woodbridge, Jonathan Edwards (John Stoddard’s nephew) and Peter Reynolds. In my opinion a group of pretty sharp operators. By the time Lenox was officially established, a number of these grants had been passed to heirs. 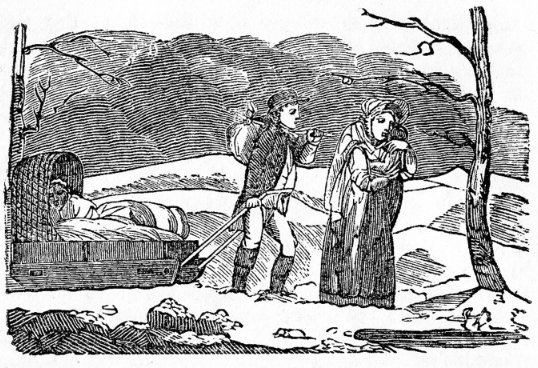 The Quincy Grant – In 1737 Edmund Quincy was appointed to a commission to resolve the Massachusetts border with New Hampshire and he traveled to London on this mission where he contracted smallpox and died. In return for his service his family was, in 1739, awarded 1,000 acres in what would become Lenox. The Larrabee Grant – 500 acres in 1739 to Capt . John Larrabee for service and expense of managing Fort William (Boston Harbor.) The grant comprises much of what would become Lenox Furnace/ Lenox Dale. 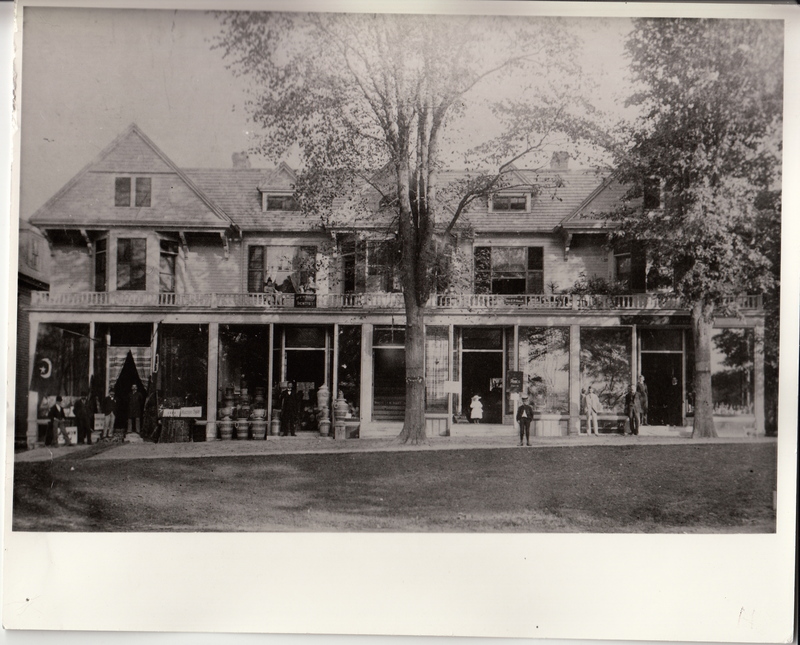 The Stevens Grant – 250 acres in 1756 for the support of the widow and children of Capt. Phineas Stevens. Capt. Stevens had, with 30 militia men, held off put to 700 French and Indians during King George’s War, at Fort Number 4 – the northernmost British outpost on the Connecticut River in modern day Charleston, NH, on the border with modern day Vermont. The Lawrence Grant – 353 acres granted in 1758 to compensate for land given to New Hampshire when the new border was drawn. 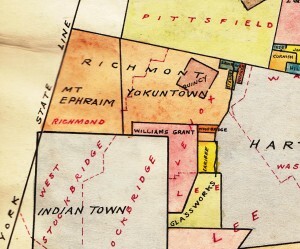 The Woodbridge Grant – In 1759, some of the Stockbridge Indians, lead by Jehoiakim Yokun, granted Timothy Woodbridge 350 acres in gratitude for his services as schoolmaster. 3. Indian Claims on the remaining land – estimate roughly 6,000-7,000 additional acres – The King viewed all unclaimed land as his to dispense or sell, but the Royal Colony had accepted the appropriateness of treating the land as a “purchase” from the Indians for the sake of peace. 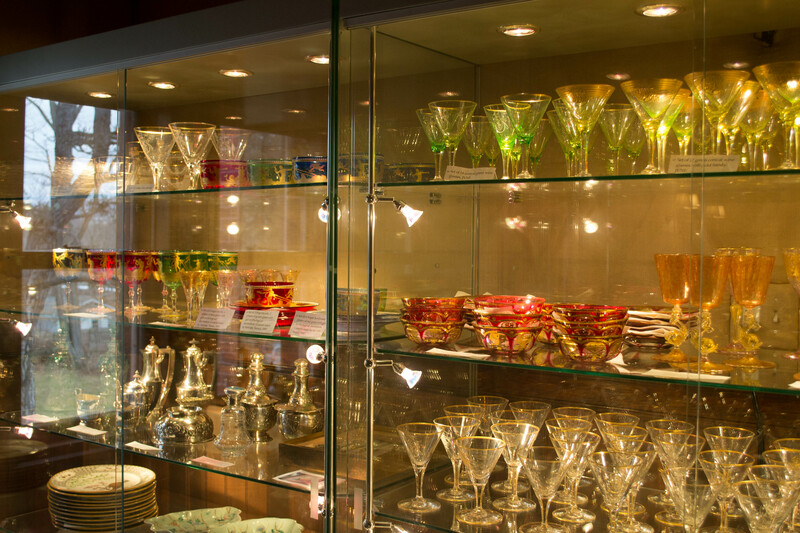 Purchase is in quotes here because, in most cases, the purchase price was heavily discounted to ceremonial. In the case of Lenox, the Indian land claims were actively defended. Perhaps the Indians realized values were going up as the land was cleared and settled. 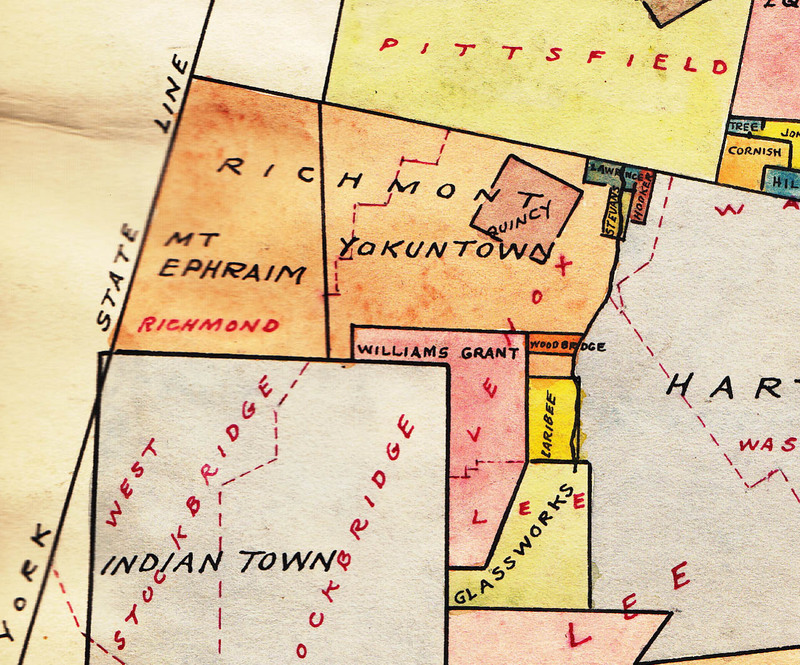 In the early days of the Stockbridge reservation (1739-1745) Jehoiakim Yokun and another Indian bought all the unsold land between Stockbridge and Pittsfield from fellow tribesmen for 12 pounds. He and other principal families claimed land throughout western Massachusetts (p. 52)* . It is not know This may be the man for whom “Yokuntown” (Lenox) was originally named. The Indians had clearly learned a thing or two from their sharp dealing English allies since, by 1761, it took three escalating offers, to get the Indians to sell the lands they held in Lenox. Net: The buyers of Lot 8 weren’t dealing with untouched territory. Clarifying existing property lines, establishing titles and dealing with households that may have settled without title would have been complicated and expensive. It’s not completely clear whether these costs would have been bourne by the buyers (the proprietors) or the sellers (the Royal Colony government.) Undoubtedly, as in modern real estate transactions, there would have been a need for individuals wit the contacts and expertise to work the government angle, the property law angle and negotiate with sellers ranging from Indians to competitive English landowners. 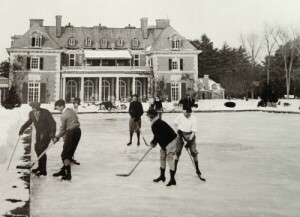 Probably the successful fixers were well connected and good at skating on the edge of what would be considered ethical by modern standards. 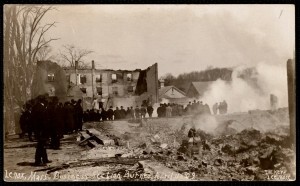 The Easter Fire on Lenox Main Street on April 11, 1909 changed the face of Lenox Main Street and cost six people their lives. 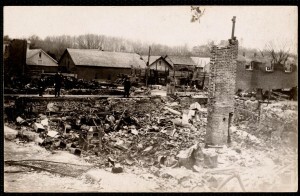 The area now occupied by the Village Shopping Center included, before the fire, the wooden buildings shown here. 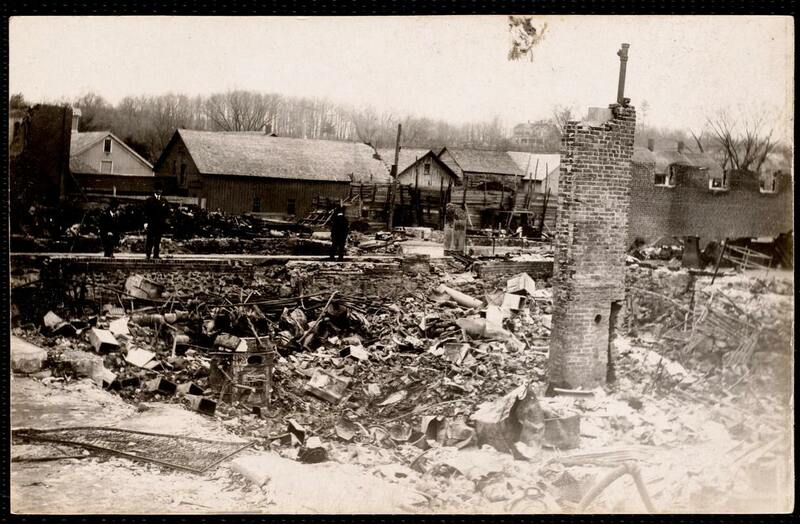 They housed Clifford & Sons which stocked the turpentine, paints and oils thought to be the source of the fire. The fire burned all the way back to Church St. and destroyed the Clifford building shown above, the Bull buildings and the residences of Joseph Gilbert, and Mrs. Rose Colbert and some smaller structures. Six persons were killed in the fire which almost wiped out the business section of Lenox early this morning. Four business blocks and two dwellings were destroyed. The property loss is estimated at $250,000, with insurance of $111,000. 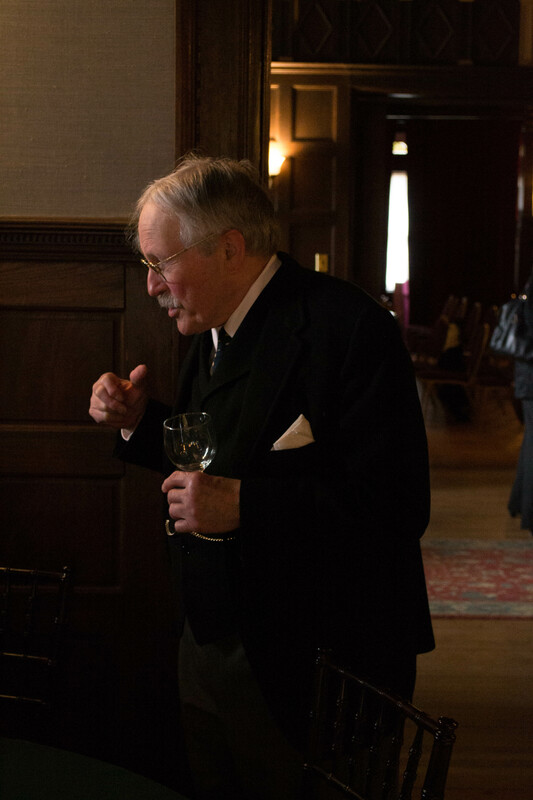 New Yorkers who were at the Curtis Hotel on an Easter visit helped persons driven from their homes. 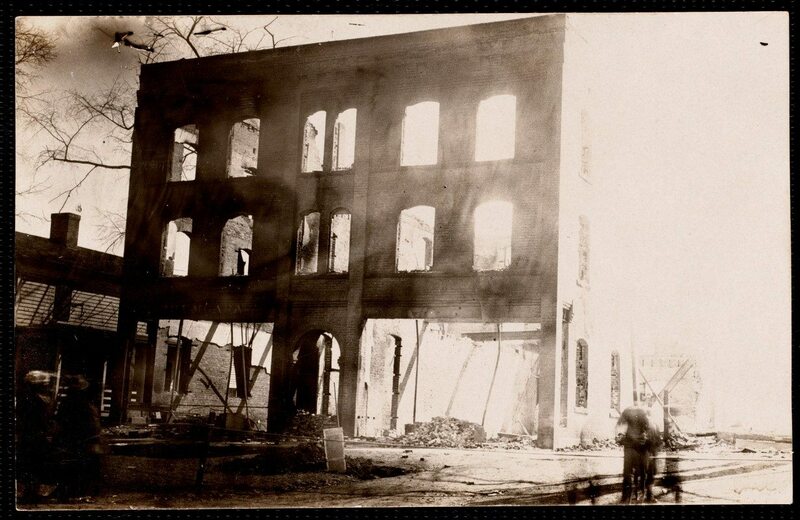 The six persons who were killed were asleep in the Clifford Building, a three-story structure, when the fire started. COOK, Miss ISABEL, 40 years old, a bookkeeper. FRENCH, Miss ALICE, 41 years old, a bookkeeper. SPARKS, Miss MARY, 26 years old, a school-teacher. and their daughter, Leslie, 12 years old. Mrs. Catherine Root and her sons, George and Arthur, were badly burned in escaping from the building. The fire is supposed to have started from spontaneous combustion in the stock of James Clifford & Sons Company, hardware dealers. They had turpentine, paints, oils, and dynamite stored in the basement. George Root, who lived in the upper story of the Clifford Block, was awakened shortly after 1 o’clock this morning by smoke that rolled into his room from a partly covered chimney hole. He called his brother and mother, and they ran down the front stairs in their night clothes, shouting to the other occupants of the upper floors as they went. They found the front door in flames, but the men wrenched it open and they dashed through. The Roots had barely crossed the street before there was a traffic explosion in the building behind them, and in an instant the Clifford block was all aflame. This explosion was heard for a distance of six miles, shattered windows within a wide radius and caused the fire alarm to ring. Horace Perrill and his wife, other occupants of the top floor, aroused by the shouts of the Roots, had got half way down the front stairs when they saw the flames leaping up to bar their exit. Three women were below them, trying to get out through the front door, but Perrill saw that the attempt was useless. He rushed his wife through a long corridor to the back stairs, and got out in safety. All the other occupants of the Clifford Block lost their lives. While the fire was at its height a woman was seen to climb out of a flame filled room to a veranda on the second story with her night clothing and hair ablaze. Staggering to the railing, she leaped to the sidewalk, landing in a heap within a few feet of the blazing walls. Some of the onlookers tried to rush in to drag her out, but the intense heat drove them back, and it was hours later before the body, that of Miss Alice French, was recovered. The bodies of the other victims are probably in the cellar of the block, but they cannot be reached until some time to-morrow. Within ten minutes of the explosion the flames were licking up the Eddy Building on the south. In this block the people had been almost hurled out of their beds by the explosion, and they lost no time in making their way to the street in their night clothes. The night air was cold, the temperature being about 20 above zero. 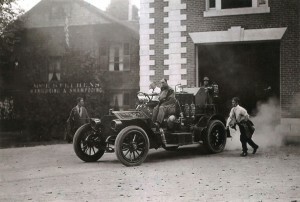 Lenox has only a small volunteer Fire Department, and until aid came from Pittsfield, Richmond, and Lee the flames spread rapidly. 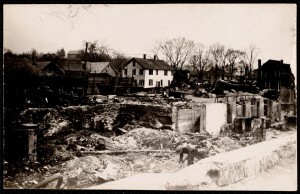 The Clifford, Eddy, Mahanna, and Bull buildings, the residences of Joseph Gilbert and Mrs. Rose Colbert, and some smaller structures were destroyed. Only a shift of the wind from northwest to southwest saved the Public Library and the Curtis Hotel. Seven of the large elm trees, which are the pride of the Lenox Main Street, were so badly damaged that they will have to be cut down. 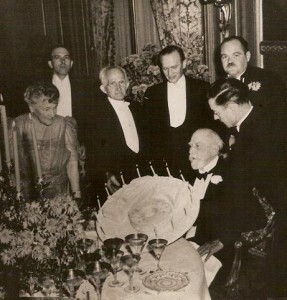 Many prominent New York and Boston society people were at the Curtis Hotel over Easter. When the explosion was heard many of the hotel party thought that burglars were at work in the Lenox National Bank, across the street. The sudden glare and crackle of the flames, however, aroused them speedily and they hurried to the scene, where they at once took in charge the shivering people 20 degrees above zero, were watching the destruction of their property. The sufferers were taken to the hotel, where warm clothes and every care were given to them. Among those who assisted in this work were Mrs. Frank K. Sturgis, Mrs. John E. Alexandre, Miss Helen Alexandre, Mrs. Lindsay Fairfax, and Mrs. William H. Bradford. At the Curtis Hotel to-night Mrs. Lindsay Fairfax headed a subscription paper to aid the sufferers and $2,600 was raised. 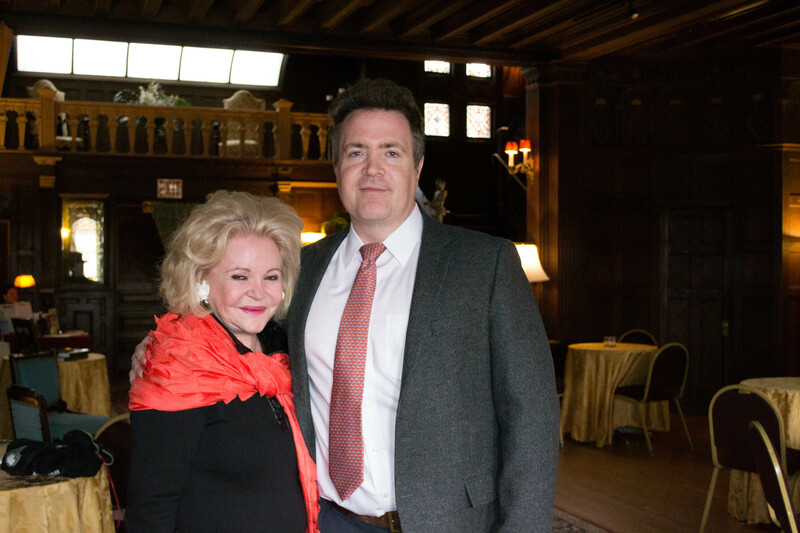 A proposition was made to-night to raise a fund of $10,000 among the New York Summer residents of Lenox for the fire sufferers. All the villa owners will be asked to subscribe to the fund. A committee will meet in New York to-morrow morning to take up the matter. Easter guests at Curtis Hotel may further assist by a benefit entertainment. 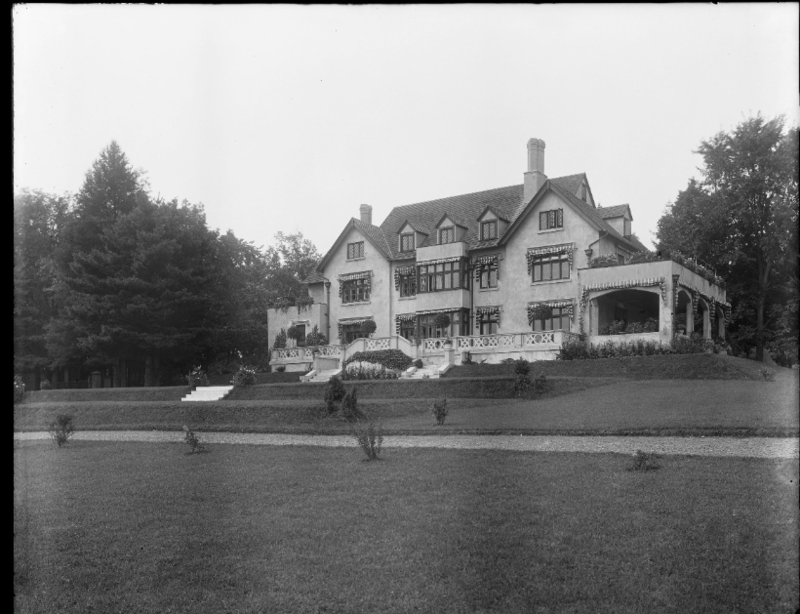 Valuable plans for work on the Robert W. Paterson place, the new Lenox High School, and other villas which the Cliffords had under way were burned, and nothing can be done until new plans have been prepared, and many men will be thrown out of work. It is expected that temporary buildings will be put up by storekeepers. Without these shops villa owners would be compelled to purchase in Pittsfield, Lee, and other towns. At the time, most of Franklin Street was taken up by the Tillotson livery complex. The horses were released and ran for miles. It took days to recapture them all. There had been discussion of a Lenox Fire Department but nothing had been done. 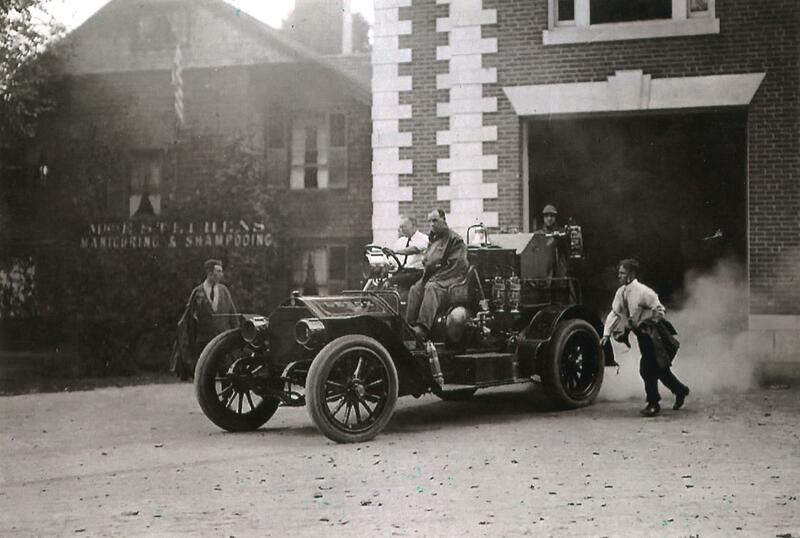 After the fire a department was quickly formed and a Fire Truck purchased. 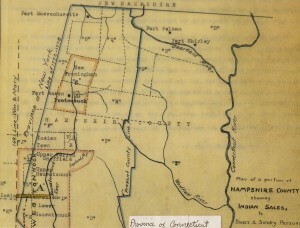 Of the five Berkshire towns whose settlement have are briefly covered in these blogs(Sheffield, Stockbridge, Great Barrington, Poontoosuck* and Lenox), Poontoosuck (Pittsfield) suffered the most from the continuing conflict between New England settlers and the French and their Indian allies. Col. Jacob Wendall purchased the 24,000 acres that would become Pittsfield for about 2100 pounds. He partnered with Phillip Livingston of New York and Capt. John Stoddard of Northampton who had already been given 1000 acres in return for his military service. Livingston had thought to sell parcels to 60 Dutch families there from New York to meet the settlement requirements. The New Yorkers were not that interested plus someone got around to read the fine print of the grant and realized the settlers had to be from Massachusetts. Finally, in 1743, 40 young men had been assembled who were ready, willing and able to take their chances in return for cheap land in this frontier area and clearing began. Unfortuntely, war broke out again in 1744 (King George’s War/ War of the Austrian Succession) and clearing and building was largely abandoned. Many of these men would have been back and forth for general militia duty or defense of Fort Massachusetts (near modern day Adams). With peace, many of these hopefuls returned along with additional purchasers, and by 1752 some temporary log cabins were built. The first settlers, Solomon Deming and his wife Sarah travelled through the woods clearing a path as they went. They came from Wethersfield and others from Connecticut and Northampton followed. By 1753 things were looking promising enough that a petition was presented to the general court for township status (which would have provided for collection of taxes for roads, meeting house, etc.) Good progress had been made with most of the 60 proprietor lots taken up and population had climbed to around 200. However progress was again halted by war. Although the concentrated Indian population of the Berkshires (about 300 Stockbridge Indians) remained peaceful, several Indians wondering through the Berkshires and angered by the death of a family member in a horse theft incident touched off a new wave of fear of Indian attack. This was followed in short order by a new French and Indian War in 1756. Based on the initial Indian violence in 1753, Berkshire County sent for reinforcements. With the help of horses from Connecticut, Poontoosuck evacuated to Stockbridge in haste. The refugees were fired on as they fled south and one man (Stevens or Stearn) was killed. The woman riding with him was rescued by Jonathan Hinsdale of Lenox. Settlers tried to return to protect, and if possible, cultivate their properties. Many of the men would have been in the militia defending Fort Massachusetts (near Adams), Fort Anson in Poontusuck, or to participate in the ill-fated attempt to capture Fort Ticonderoga. Poontoosuck would have been a stopping place for troops from the rest of New England on their way to Canada or Fort Royal and some would return as settlers. With Wolfe’s capture of Quebec in 1759 settlers started returning in earnest. In 1761 Poontusuck was granted the right to incorporate and the name Pittsfield was chosen in honor of Prime Minister William Pitt who had lobbied Parliament to provide military support for the colonists against the French and the Spanish. *”Poontoosuck” = another phonetic Indian name spelled many different ways. This spelling is taken from the 1752 survey. Voted the “Best Small Town in America,”* by Smithsonian Magazine in 2012, Great Barrington has clearly overcome early bumps in the road. However, in its early formation and settlement, Great Barrington illustrated the challenges in the systematic process of town formation the Puritans and then the Massachusetts Royal Government had practiced for more than 100 years. Like all systems, the town formation approach required good and consistent leadership, and some luck. It is also possible that by the mid 18th century the old ways were loosening up. Unlike Lenox (for which we find no record of activity before the first settler in 1751), Great Barrington was active well before European settlement. There is record of a “Great Wigwam” Indian settlement (thought to be near the current site of the Congregational Church)at a ford over the Housatonic but most of the Indians were gone by 1694 – said to have fled west in 1676 as a result of King Phillip’s War. 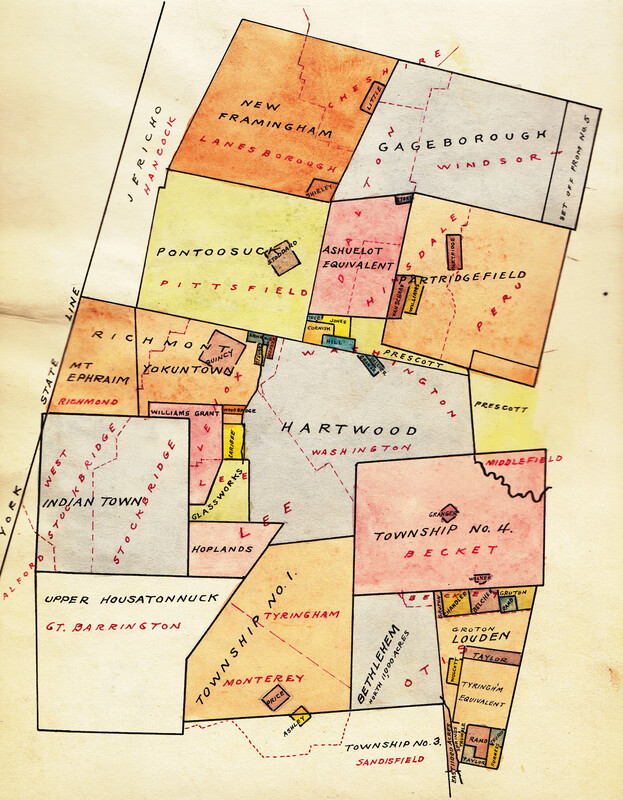 As with Sheffield and much of the rest of Berkshire County, the area had been part of a parcel (called the Patent of Westenhook which included modern day Sheffield, Great Barrington, Stockbridge, West Stockbridge, Mount Washington, Egremont and Alfrod) claimed by major landholders in New York (1685) and was open to Dutch settlers in 1705*. * However, there was very little settlement. It was was also on the trail (road would be an overstatement) that went from Springfield to Westfield to Kinderhook to Albany and was used by soldiers from King Phillip’s War (1676) on. In 1722 the General Court granted the opportunity to settle lower and Upper Housatonic townships. and in 1724 property was purchased from the Mahicans. 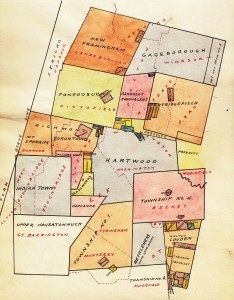 The request made in 1733 to incorporate much of the lower parcel as Sheffield in 1733 was accepted in 1741. The conflicting property claims (New York – Wesbenhook Patent vs. Massachusetts purchase from Chief Konkapot) came to a head about 1726-27. 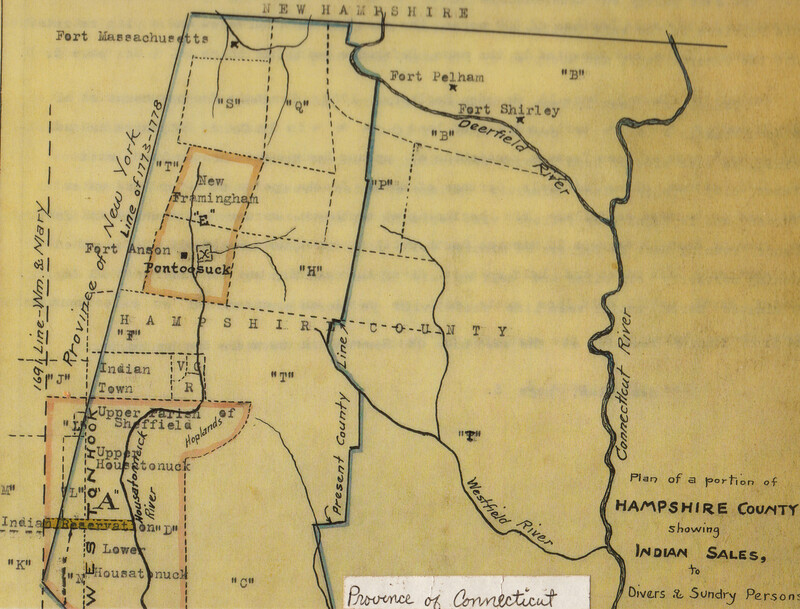 At least one Massachusetts settler was arrested for trespassing and transported to Albany and further land sale and settlement was stalled. Then, in 1733, the General Court passed an order appointing John Ashley, Ebeneezer Pomeroy, Esq.’s, and Mr. Thomas Ingersoll to”bring forward” settlement of the Upper Township within two years. As late as 1742, Ephraim Williams was still bringing complaints about New Yorkers surveying properties in the Upper Housatonic. In 1736 the portion of the upper township above Monument Mountain was set aside for the Stockbridge Indian Mission and further property distribution was again halted. One author described the Upper Township remaining as “wild as ever, a plague to the decent people in the northern part of Sheffield.”** Perhaps some of this “wildness” could be attributed to stop/start nature of the town’s status – the challenges from the Dutch claims in 1727, partition to Stockbridge in 1736, complaints about how land was being distributed and dismissal of David Ingersoll as clerk in 1749 (and annulment of all prior land distributions) – or perhaps just loosening of standards from an earlier time. By 1742 this “plague to decent people” had 200 residents and won the right to be the North Parish of Sheffield and obtain their own minister. They succeeded in attracting young Rev. Samuel Hopkins in 1743. However, due to delays in organizing the parish, he was not installed until 1745. Town Status Finally Achieved in 1761- the County Seat Until After the Revolutionary War. A further impediment to settlement, which the future Great Barrington shared with the rest of the future Berkshire County, was the French and Indian Wars Citizens were enlisted for the 1746-1747 march on Canada under Capt. Williams. Alarms and militia enlistment continued from 1753 to 1760. General Amherst marched through the town in 1758 on his way to attack Ticonderoga. 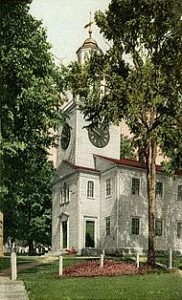 Finally, in 1761 the General Court allowed the North Parish to become the town of Great Barrington. Great Barrington was the site of the County Courts in 1774 and was a scene of early defiance of the Royal government. The town would go on to play an important role in the Revolution as well as in the aftermath – Shay’s Rebellion.